Highly competent staff and advanced technology for optimal results. Having the right technology is crucial. That's why we only use cutting-edge technology such as the Heidelberg Spedmaster XL 105 with its capacity for 5 colour printing, coating (UV varnish and dispersion varnish) and drying. We can add finishes directly on-site, deploying UV varnishes and special varnishes. Automatic calibration of the ink zones facilitates short set-up times and minimal wastage. That boosts efficiency, lowers costs and is better for the environment. And, last but not least: Waste heat from the machine contributes to our plant's energy supply. Cutting-edge technology is only one side of the equation. Printing and packaging machines have to be operated, details confirmed and production processes monitored. This calls for just the right staff -and we have them. 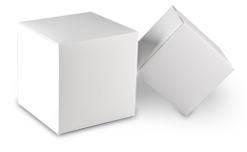 Our printers and other specialist employees have a keen eye for high-quality packaging. Technical expertise, years of experience and passion for the product mark them out. We don't just invest in on-going qualification and training measures, we also prioritize the training of our apprentices. We look to the future now. High-tech equipment and competent staff prevent errors and wastage and guarantee the reliability of production processes, signifying lower costs and consistently high quality for you.